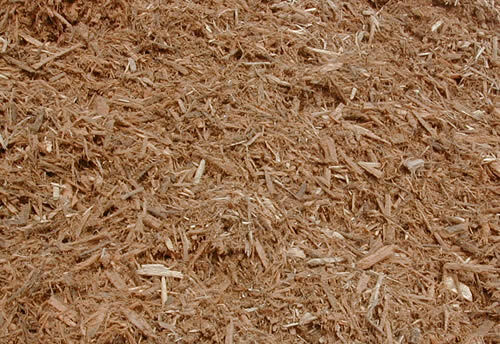 This mulch is made from hardwood and has a refined look due to its consistently smaller particle sizes. This material interlocks well with itself, to help keep topsoil from washing or blowing away. Add mulch to protect plants from the harsh summer and winter weather conditions. Use this mulch to help conserve moisture and lower watering costs; when desiring an improved aesthetic appearance; or as a weed inhibitor. Apply 1-2 inches in depth when adding the mulch for appearance. Apply 3-4 inches in depth when controlling moisture, protecting the plants, or when attempting to control weeds. 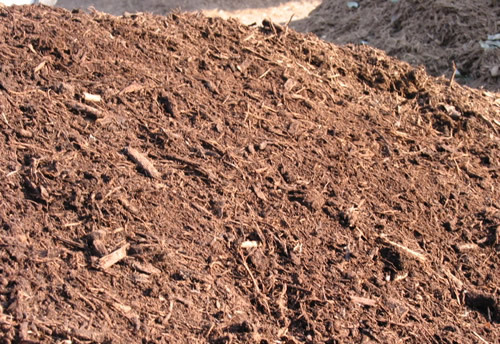 This mulch has a great appearance, aroma, and has been known to repel bugs. It has a uniformly stringy, rustic texture, and will add a natural look and smell to your installation. Bois D’arc is incredibly hard wood and will out last any other type of wood. When this naturally yellow wood is exposed to the sun, it turns the wood a permanent auburn red. Unlike other mulches, Bois D'arc continues to darken with time. This material was engineered for maximum durability and cushion. It has been tested and complies with ASTM standards for impact attenuation and wheelchair accessibility. Used extensively as play surface under playground equipment. Also used in outdoor situations where many people will be standing for long durations (tent parties, company events, etc. ), or where wheelchair accessibility is needed. Apply a minimum of 4-6 inches to create a basic cushion surface. Apply up to 8 inches for maximum cushion. Can also be used to control soil moisture, protect plants, and to suppress weeds. 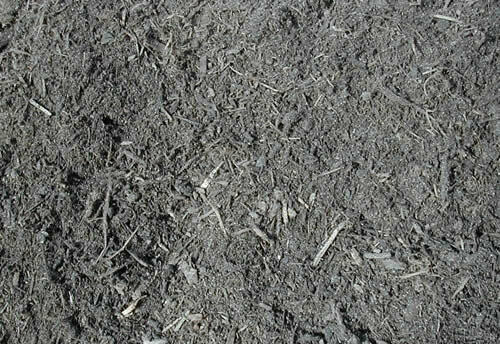 This dramatic black mulch is an attractive material to use in any setting. It provides a sharp contrast and retains its dark, rich color for many months. 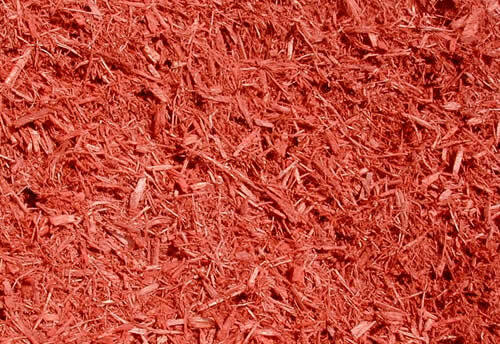 This vibrant red mulch can really spice up a garden. The mulch has been colorized via an industry leading process, specially formulated to be non-toxic to plants and animals. 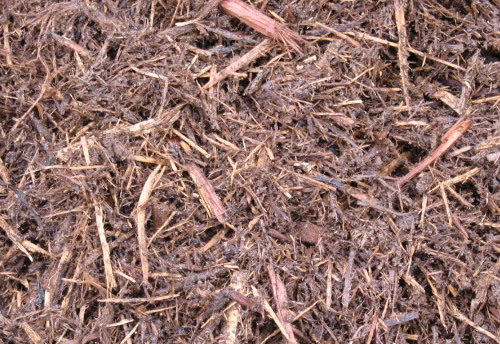 Tan mulch is a great alternative to the nearly endangered cypress tree mulch. The mulch has been colorized using the industry leading Becker Underwood Mulch Magic process. It is formulated to be non-toxic to plants and animals. 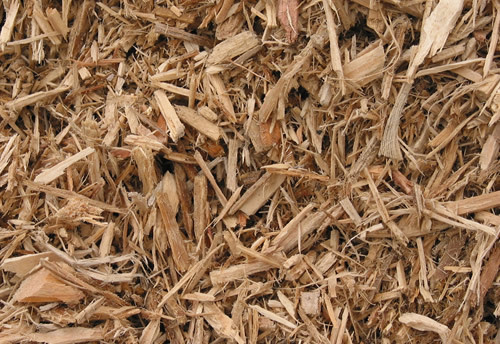 This mulch is made from native trees and other organic materials, and may contain some softer breeds of wood. It has an attractive look due to its consistency and medium to small particle sizes. This material interlocks well with itself, to help keep topsoil from washing or blowing away. This mulch has a nicely textured look. It will help lower the pH as a top dressing to azalea beds. 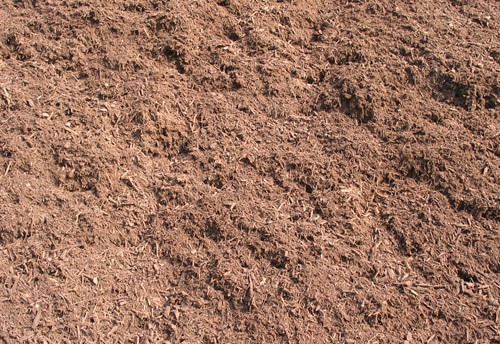 Use this mulch to top dress acid-loving plants such as azaleas. Protect plants from harsh summer and winter weather conditions, conserve moisture, lower watering costs, and inhibit weed growth. Provides a nicely aerated finish to your beds. 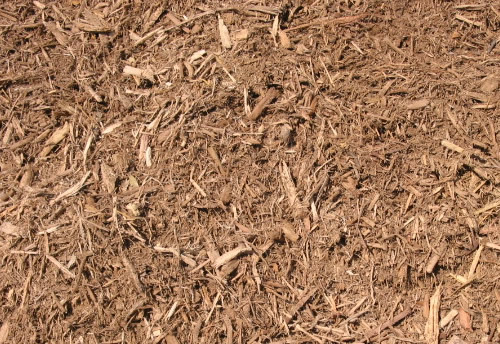 This mulch has a very refined look due to its consistent very small particle sizes. It has been acidified so it will alter the soil pH as it is combined with existing soil. 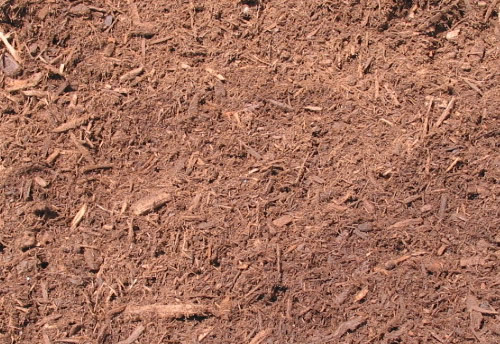 Use this mulch to top dress acid-loving plants such as azaleas. Protect plants from harsh summer and winter weather conditions, conserve moisture, lower watering costs, and inhibit weed growth. Provides a smooth, professional finish. 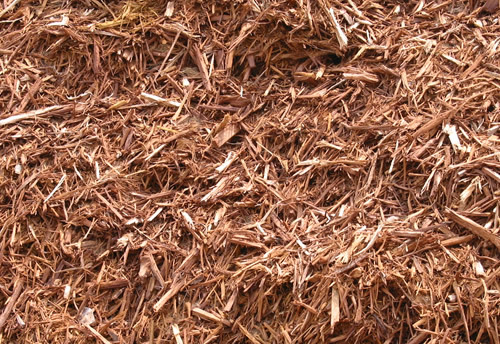 This mulch is made from native trees and may contain some softer breeds of wood. It has an attractive look due to its consistency and medium to small particle sizes. This material interlocks well with itself, to help keep topsoil from washing or blowing away. 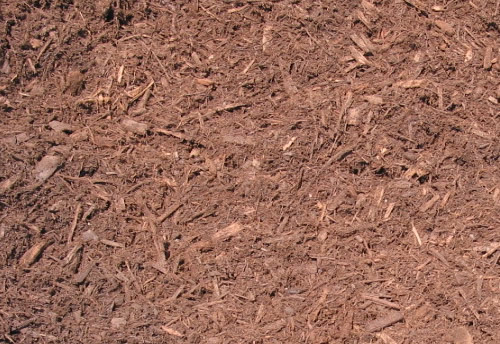 This mulch is made from hardwoods and has a rustic look due to its variety of particle sizes. This mulch aerates well due to the few fines present. 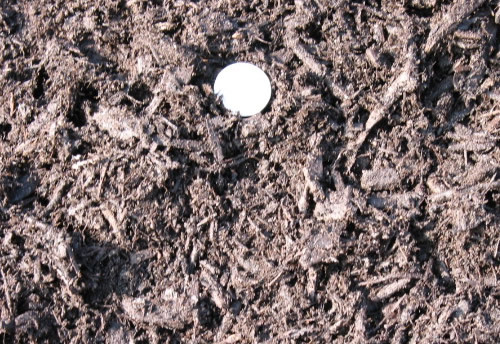 The mulch particles interlock and consequently don't wash away as easily. 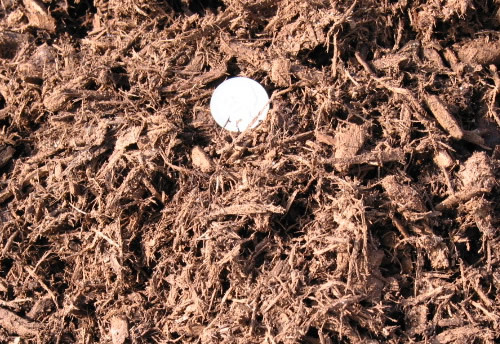 This mulch is has a very refined look due to its consistently small particle sizes. 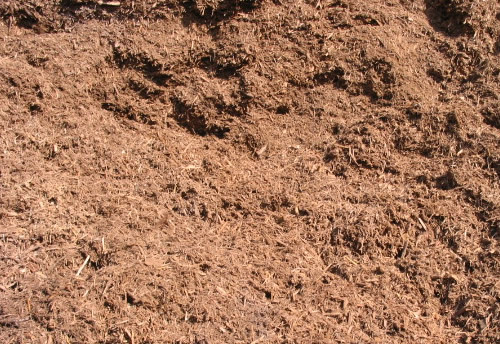 Because of its particle sizes, this mulch will further decompose and turn into compost faster than other mulches. This mulch will have some rather large pieces mixed in with the small. It is commonly used for temporary driving surfaces at job sites or as a protection layer for tree roots during construction projects. This product complies with all specifications and requirements outlined by the TCEQ for Texas Department of Transportation use (Item 1034). Can achieve vegetative growth in 30 days. 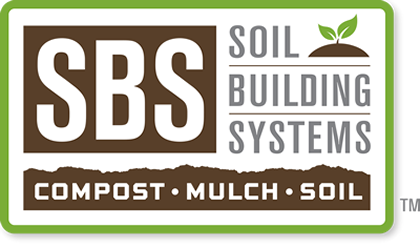 This product combines TxDOT approved compost & mulch to create a material used to form a berm on erosion prone surfaces, which in turn allows runoff to occur while protecting the surrounding surfaces from washing away. Spread this pre-mixed material into a 2 - 4 foot high berm, in the shape of a trapezoid (triangular base with a flat top). Berms can be build on slopes having a 45 degree angle. Seeds are typically blown onto berm once installed.